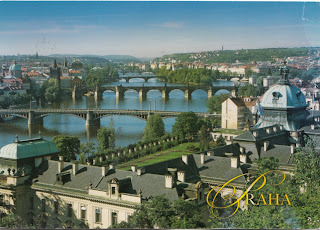 Here is a lovely postcard that I received from a friend of mine who was traveling in Europe. It shows the bridges in Prague. I have never been, but I would love to visit there! I LOVED Prague! The outdoor market on the bridge, the inexpensiveness of it all, the old world style buildings..... I went in 1992, when they were just starting to clean up the buildings from massive soot etc.... I can't imagine what it looks like now! When I went to Brno, you could still see the dimples on the buildings from mortar shells in WWII..... very cool! 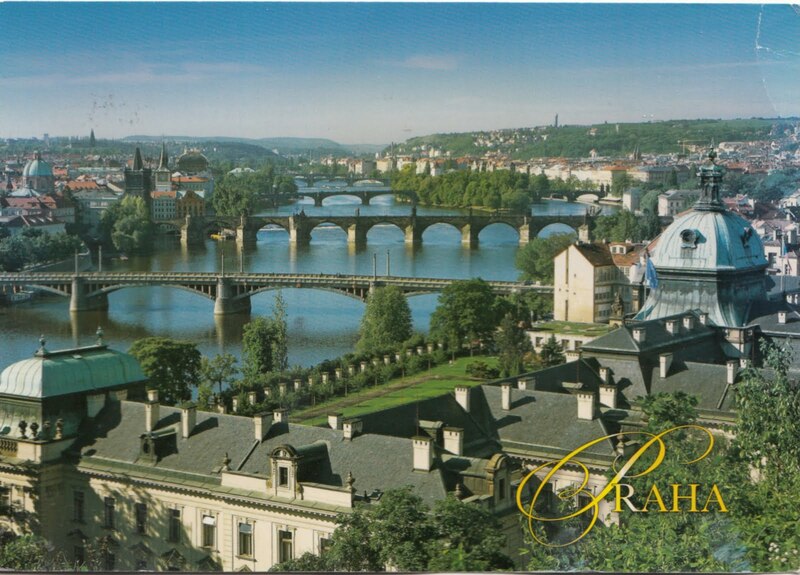 Thanks for the quick jump out of my office cubicle to "very beautiful Prague"!!!!! Definitely go if you have the chance - Prague is AMAZING! We were in Prague a couple of years and it is great place to visit. wonderful city, had my chance 1998when we lived in Germany, thanks to the AF we went on several Volksmarching trips. One was a there and we saw what the real city looks like, very sad that most people are so poor and live in such terrible places. We could only have a guided tour. No stopping or getting off the tour. Very strict. What you see in market square is for the tourist. I am glad I had a chance to see both.